General manager Rob Pelinka and president of basketball operations, Magic Johnson, made it clear that this upcoming season is all about Lonzo Ball and developing the young talent of the Los Angeles Lakers. Brandon Ingram and Ball will be the focal point moving forward while the team also tries to clear cap space to make room for a what could be the biggest summer in recent memory for the Lakers franchise next year. 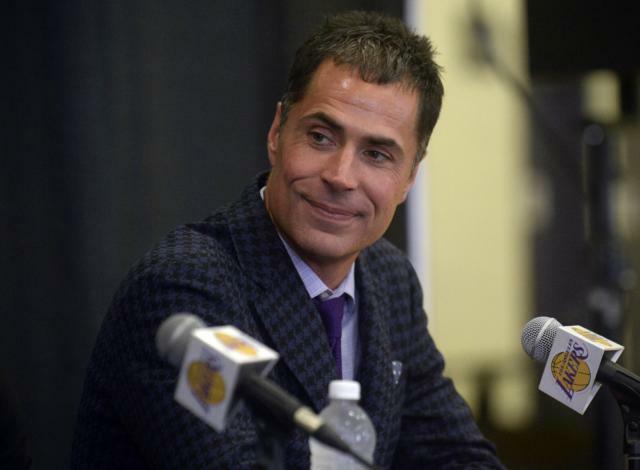 Pelinka recently made an appearance on The Dan Patrick Show and talked about the team’s plans moving forward and what the Lakers brass envision for the summer of 2018. 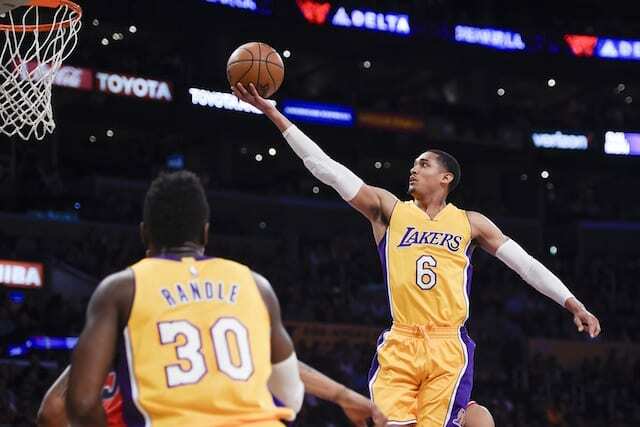 Armed with the cap space to potentially sign two superstars next summer, the Lakers could instantly become title contenders in the Western Conference if able to bring in the right players next July. At this point, all signs point to the team targeting LeBron James and Paul George in free agency. Both players have the option to become free agents next year and are expected to do so with the Lakers being the favorites to land one or both players. Obviously, a lot can happen between now and then. George could fall in love with the Oklahoma City Thunder and teammate Russell Westbrook while LeBron may get some new blood in Cleveland once or if Kyrie Irving is traded helping him contend for another title with the Cavaliers. Despite the fact anything can happen over the next 12 months, the Lakers are planning to bring in superstar talent. Whether it is LeBron and/or George remains to be seen, but Pelinka and Magic have a plan and are sticking to it.